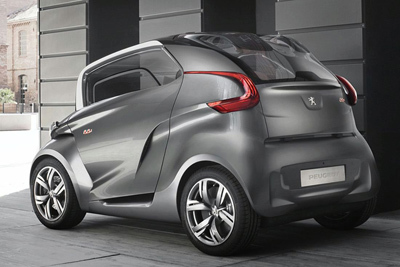 The Peugeot BB1 is an ultra-compact city car concept. The design brief for the BB1 was to meet the mobility needs of everyday individuals on a daily basis and provide maximum versatility, a compact size, maneuverability (3.5m turning circle) and adequate performance levels. 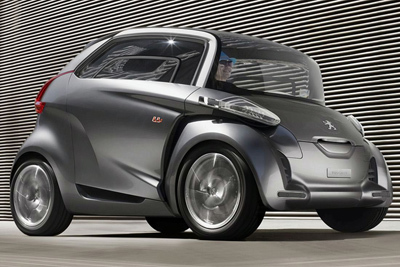 The full-four seat Peugeot BB1 features some rather daring styling, from the protruding headlights and almost vertical windscreen, to the complicated door panels and off-set taillights which wrap around the sides of the car. Access to the BB1 is through the reverse opening doors, while the load area access is through an innovative tail board / tailgate design. 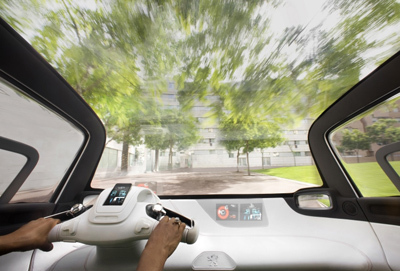 The interior can be transformed as required to offer a load volume of up to 160 litres (with four occupants), or 855 litres (with just one person in the car). Inside is strange setup with the driver controlling the vehicle from a set of scooter-like handlebars instead of a steering wheel. Thanks to the expansive glass roof and long side windows the interior is filled with light, helping to disguise the small overall dimensions. 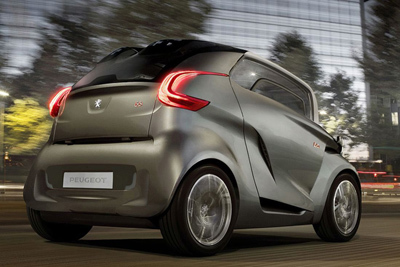 The Peugeot BB1 is powered by two electric motors, one mounted in each rear wheel. 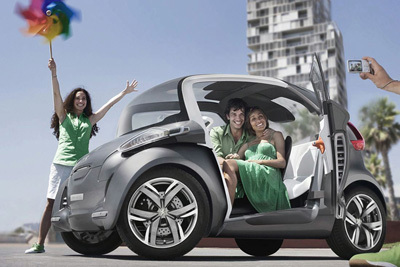 This layout maximizes the interior space and draws its inspiration from the world of quad bikes. Combined the motors produce 20 horsepower (15kW). 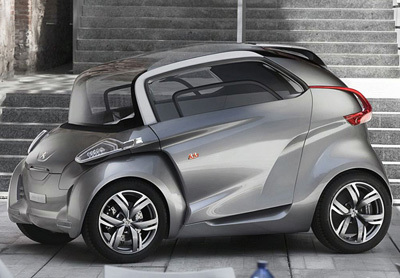 0 to 19 mph takes 2.8 seconds and 19 - 37 mph in achieved in 4 seconds. 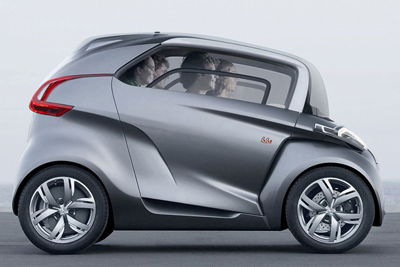 Easily fast enough to keep pace with urban traffic. 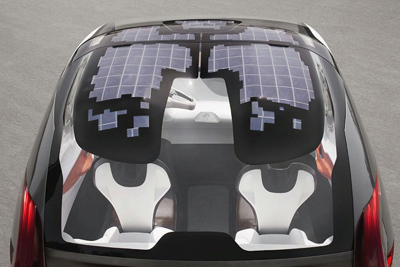 Solar panels are integrated into the roof to power some of the vehicles secondary systems. The BB1's solar panels use cutting-edge technology, designed in partnership with the Ocean Vital foundation. Flexible (enabling their usage on surfaces as complex as the dual-bubble roof of the BB1), they provide a high yield of around 16% of energy captured, a much higher performance than current systems.